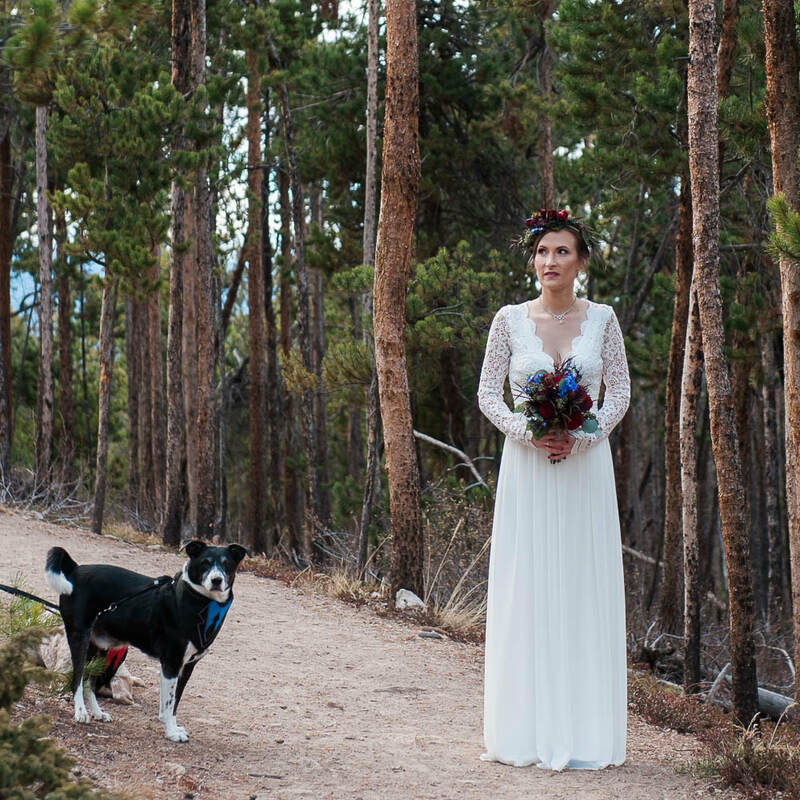 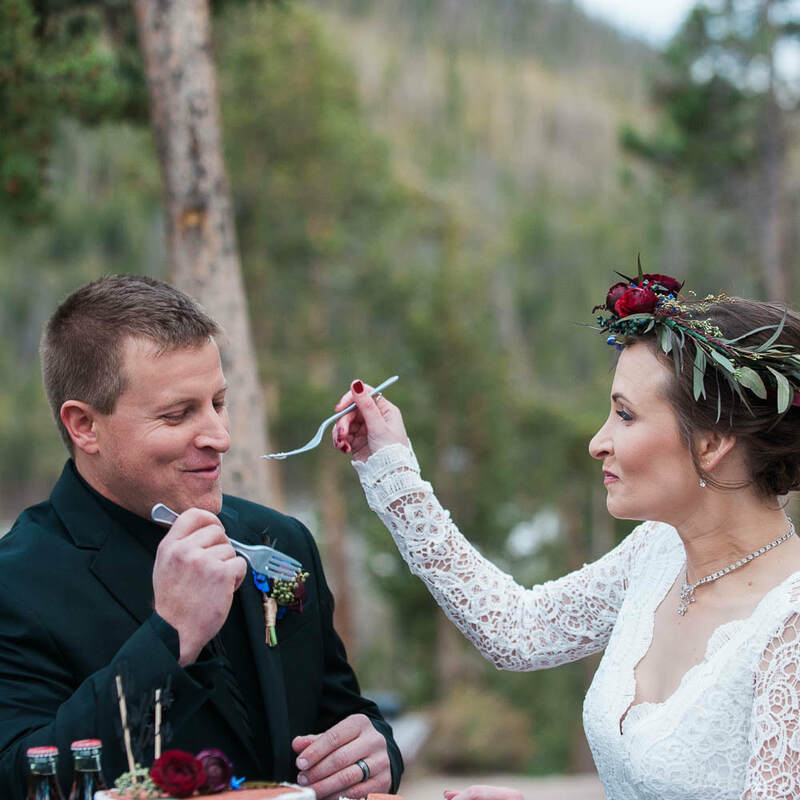 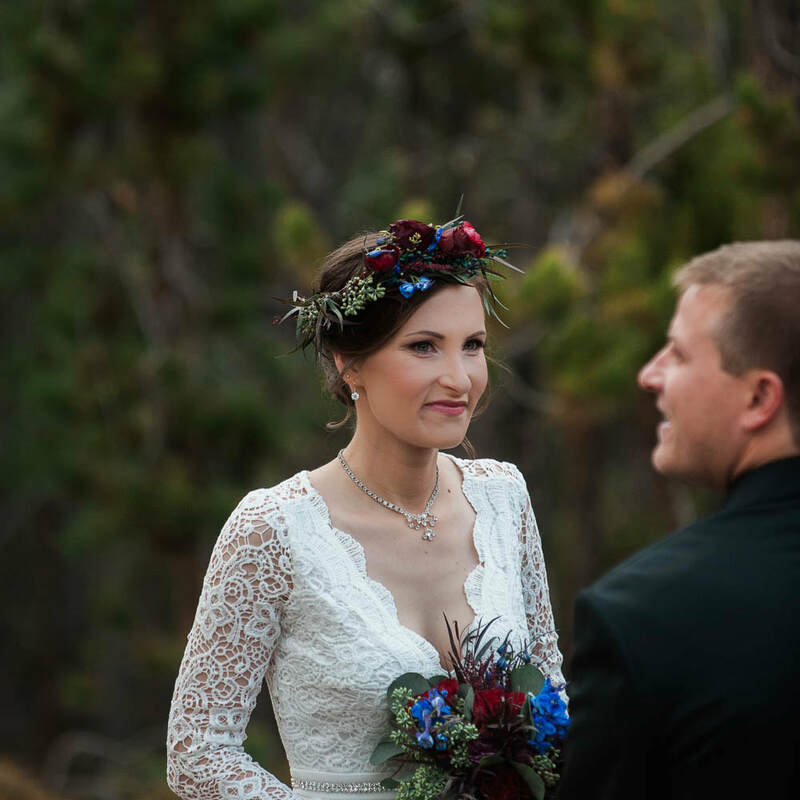 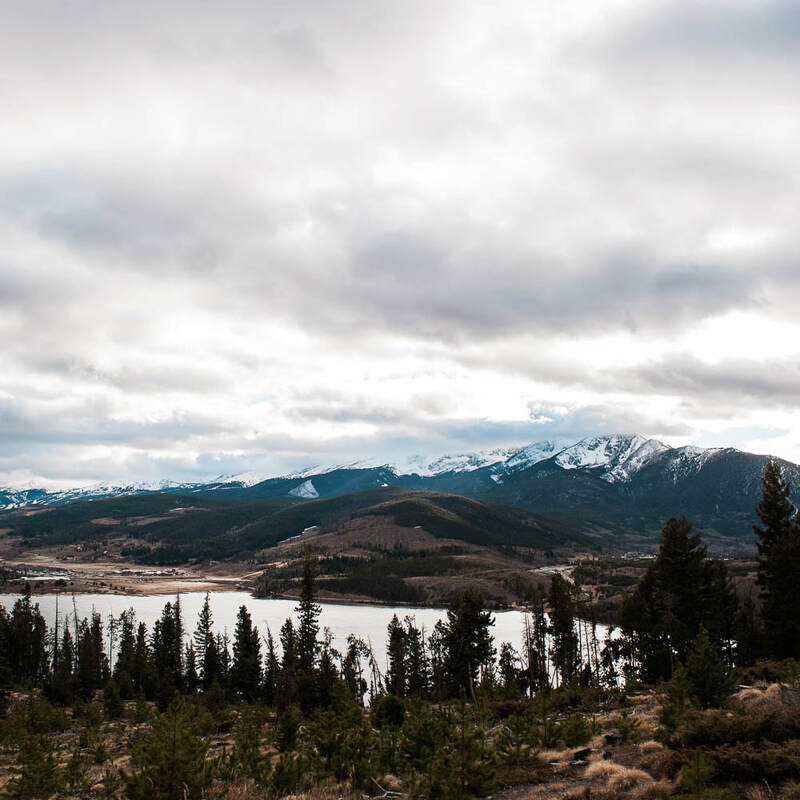 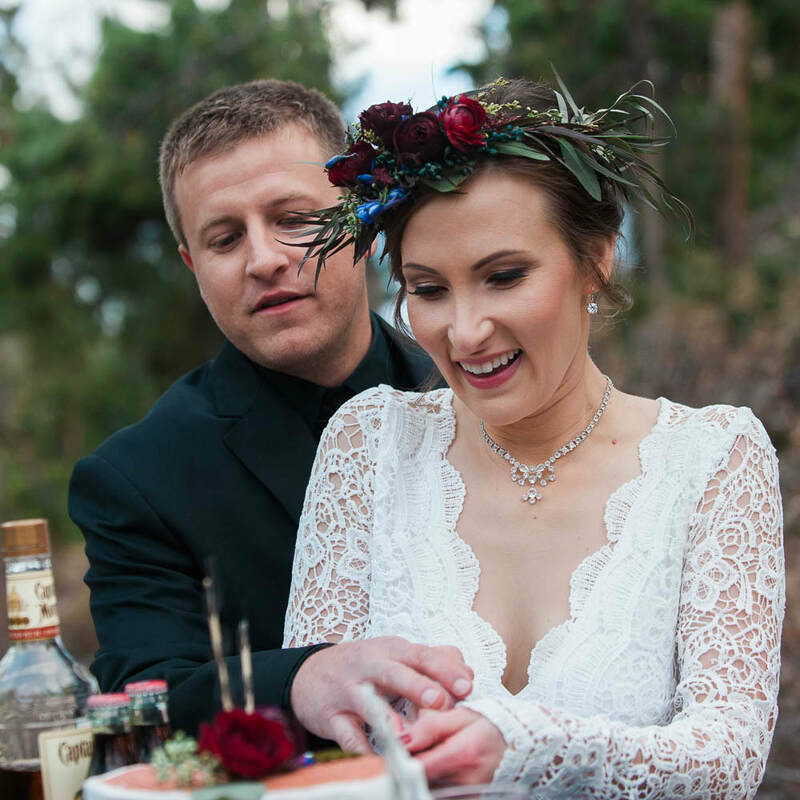 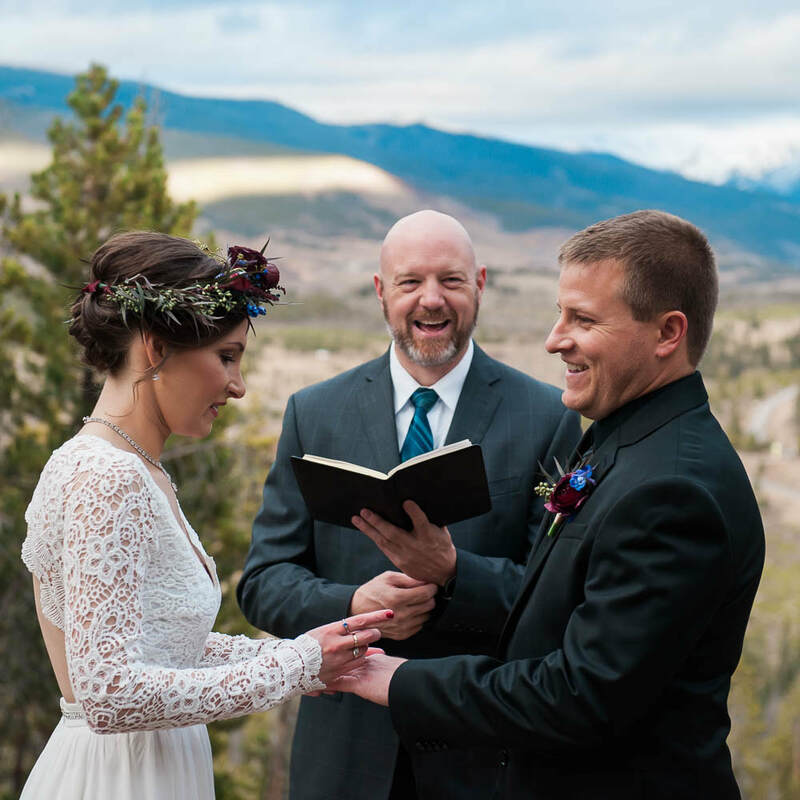 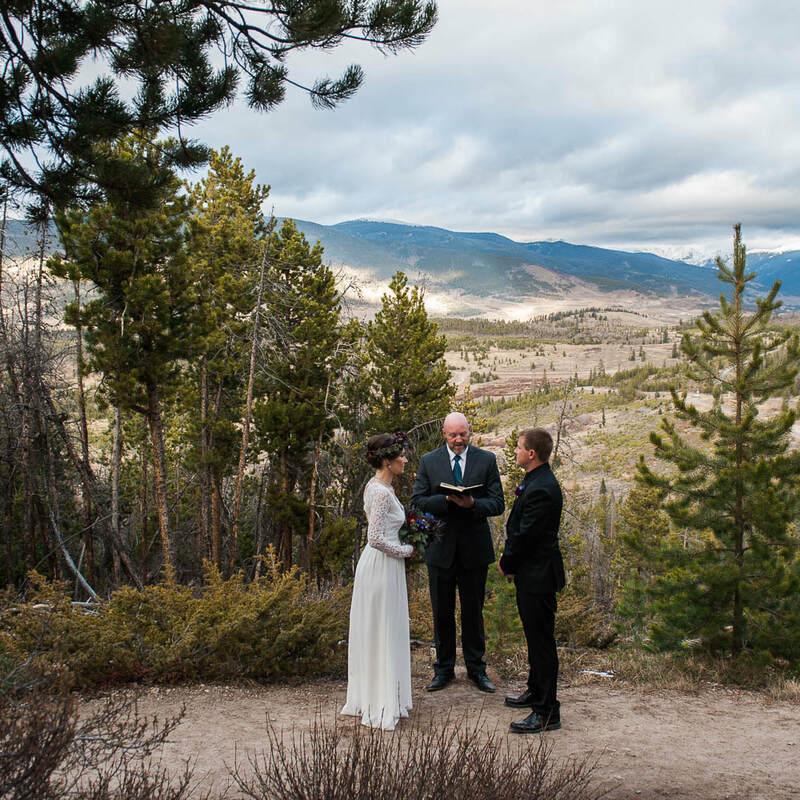 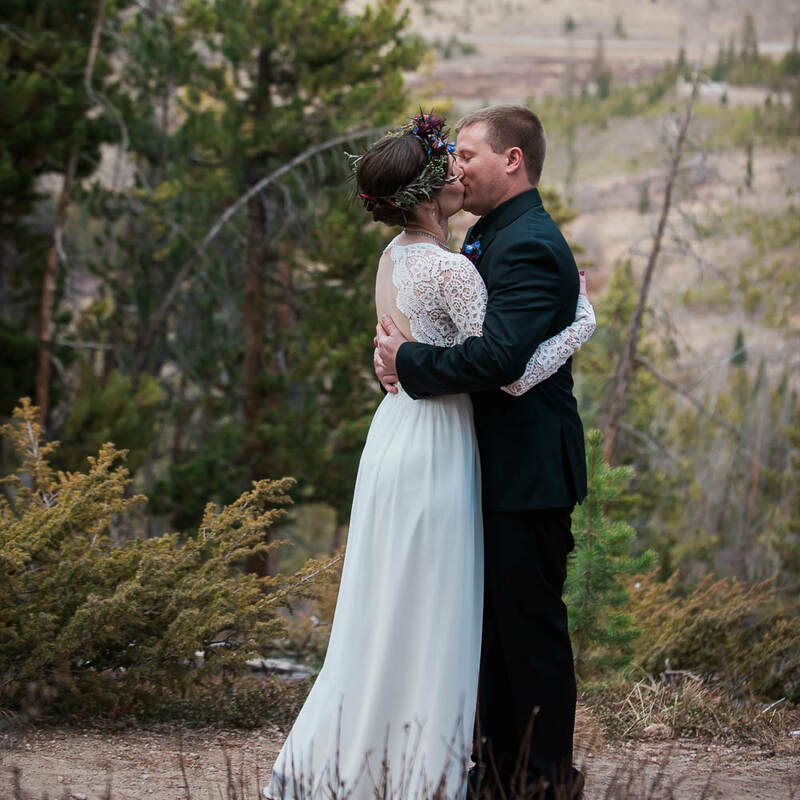 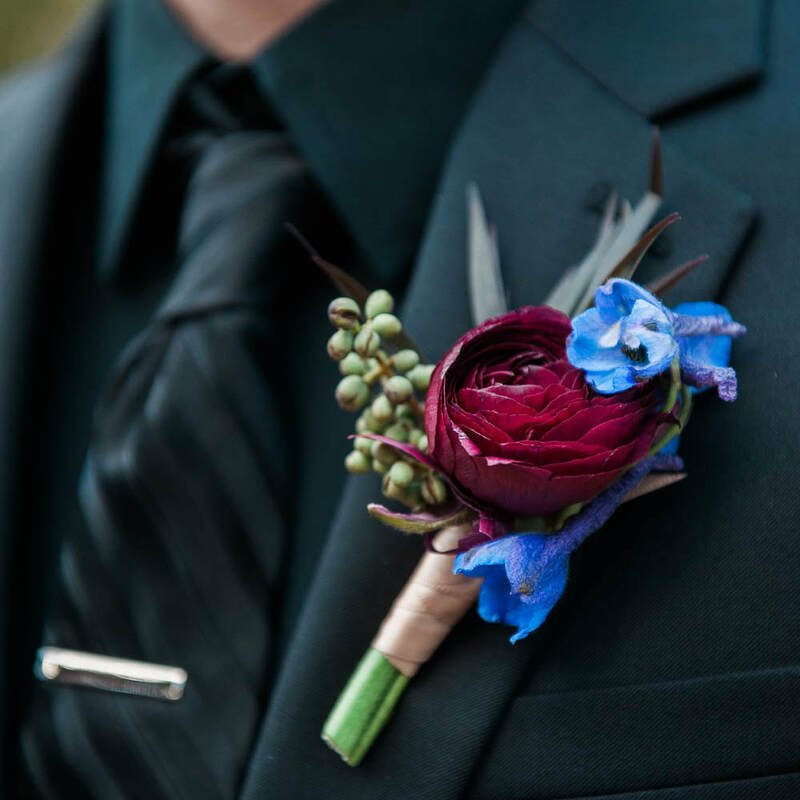 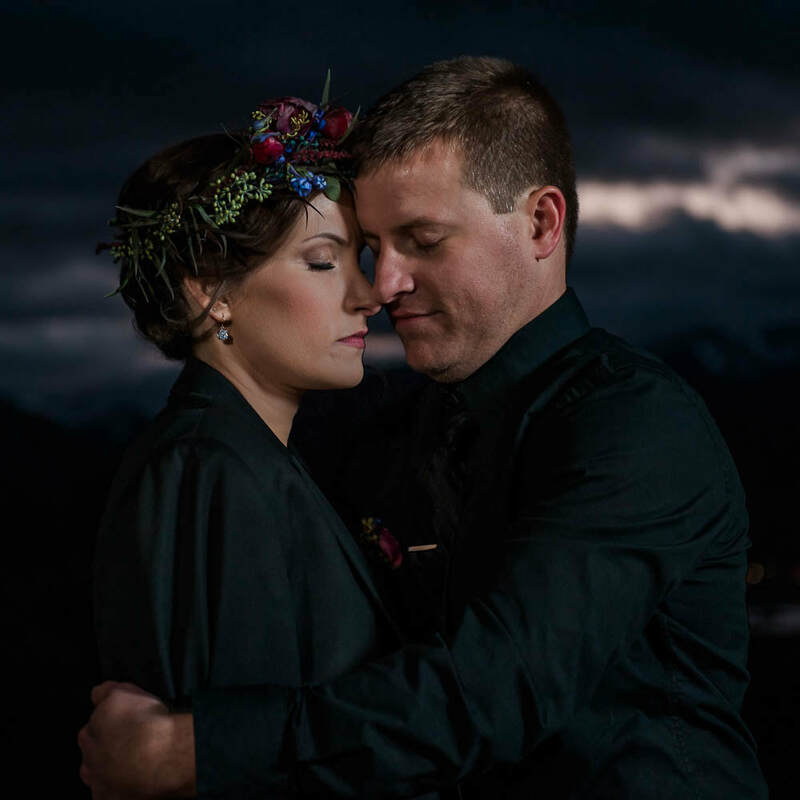 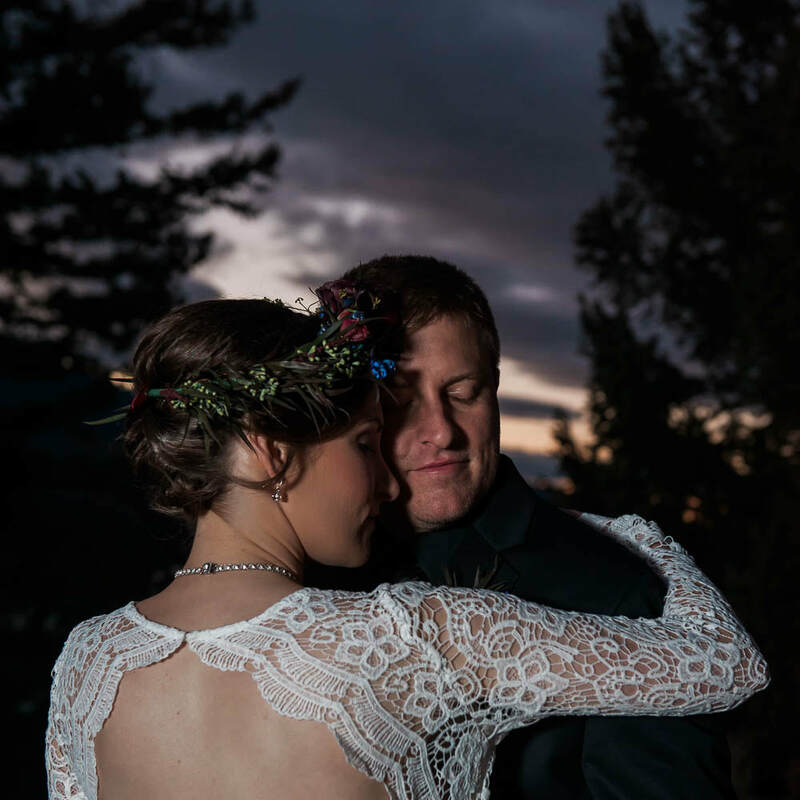 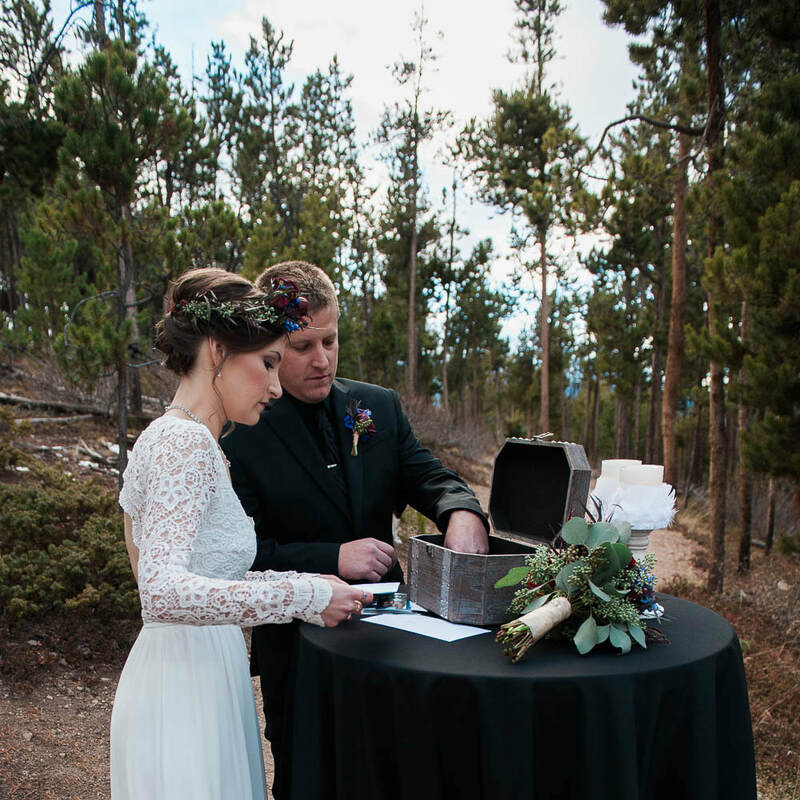 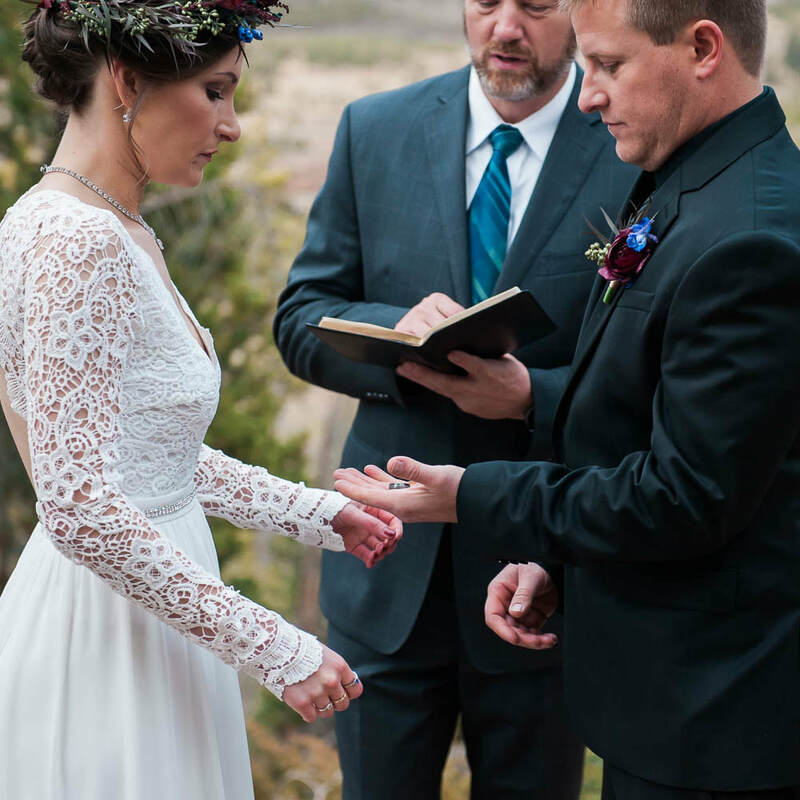 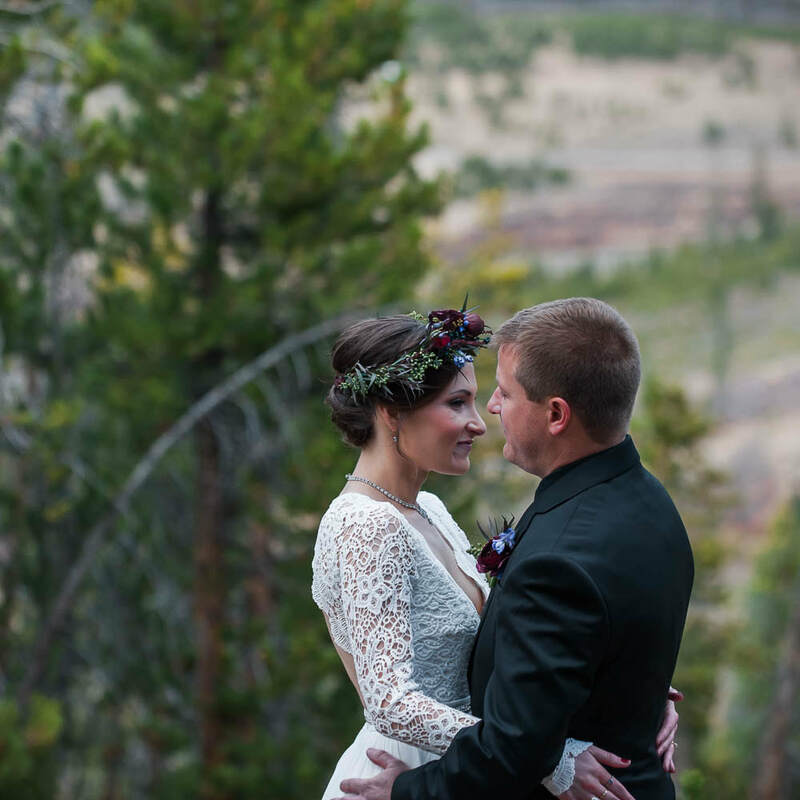 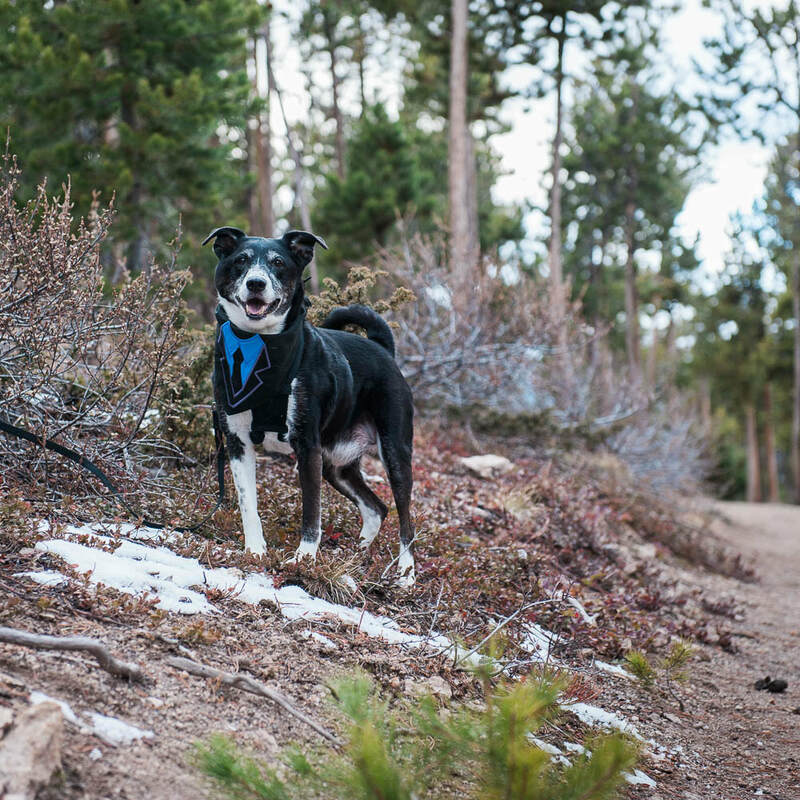 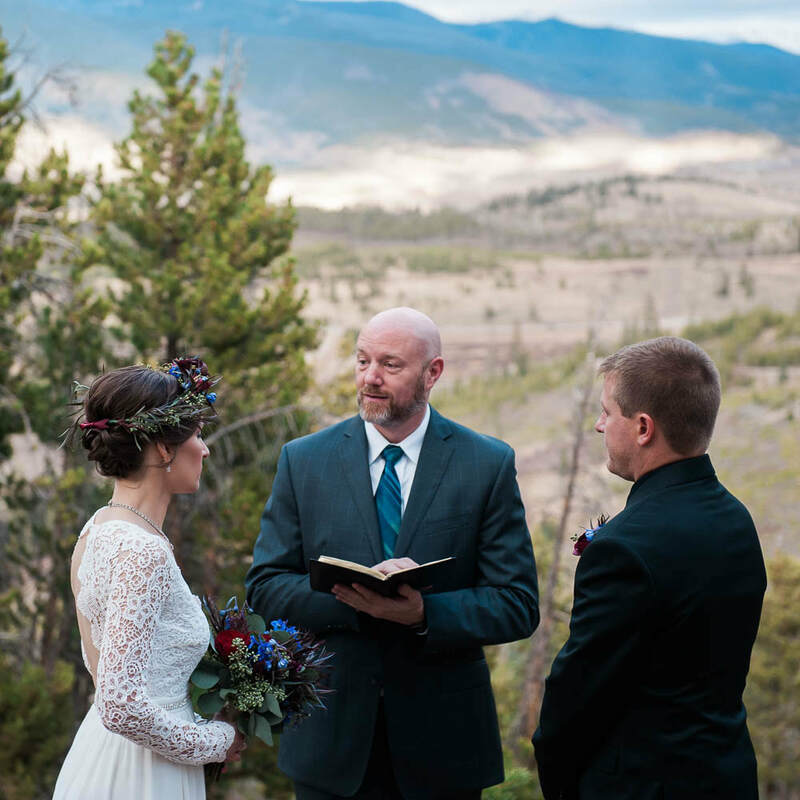 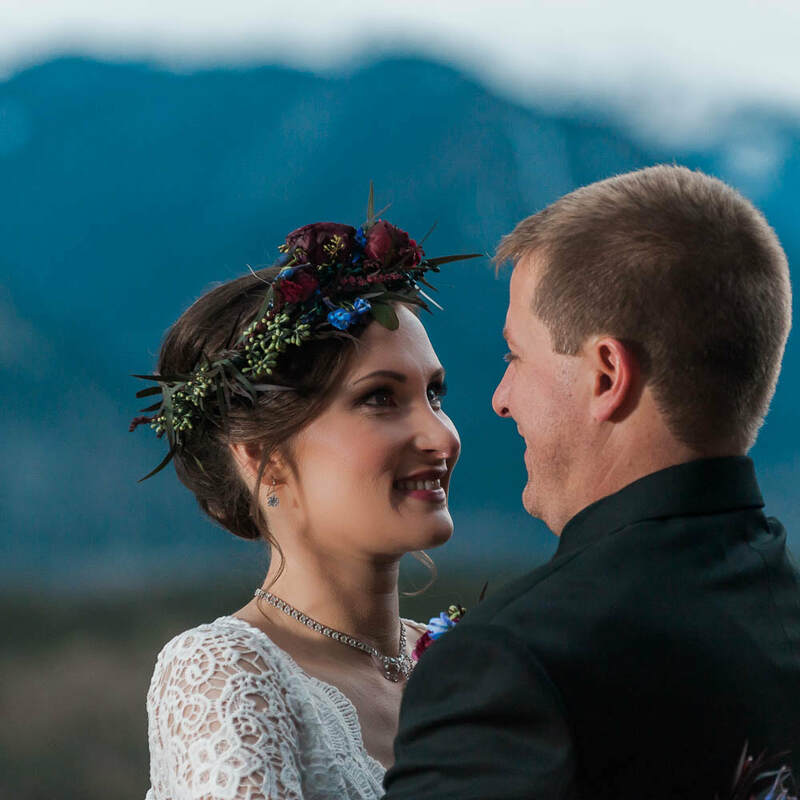 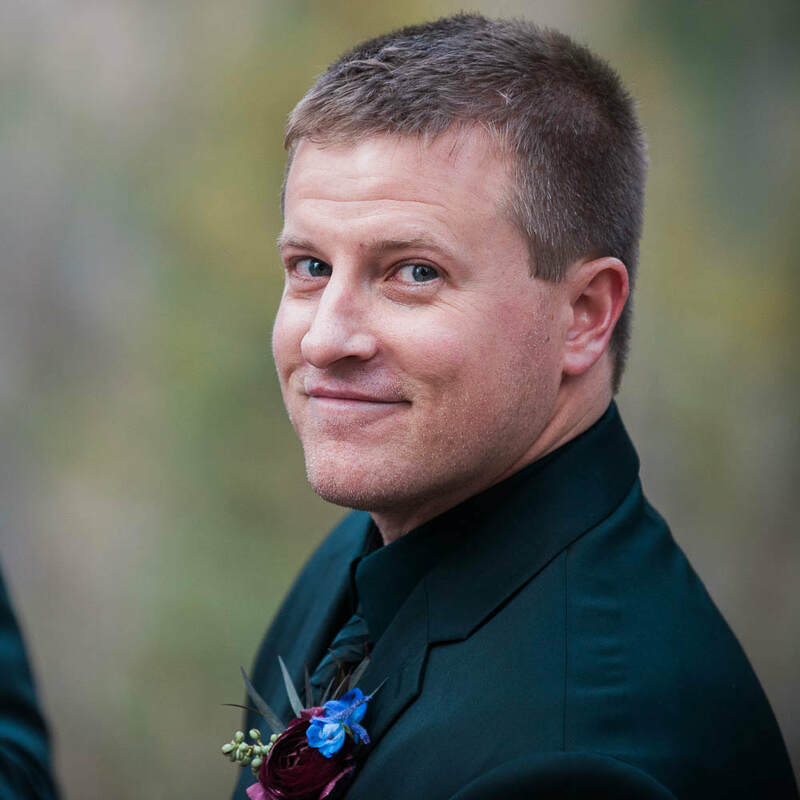 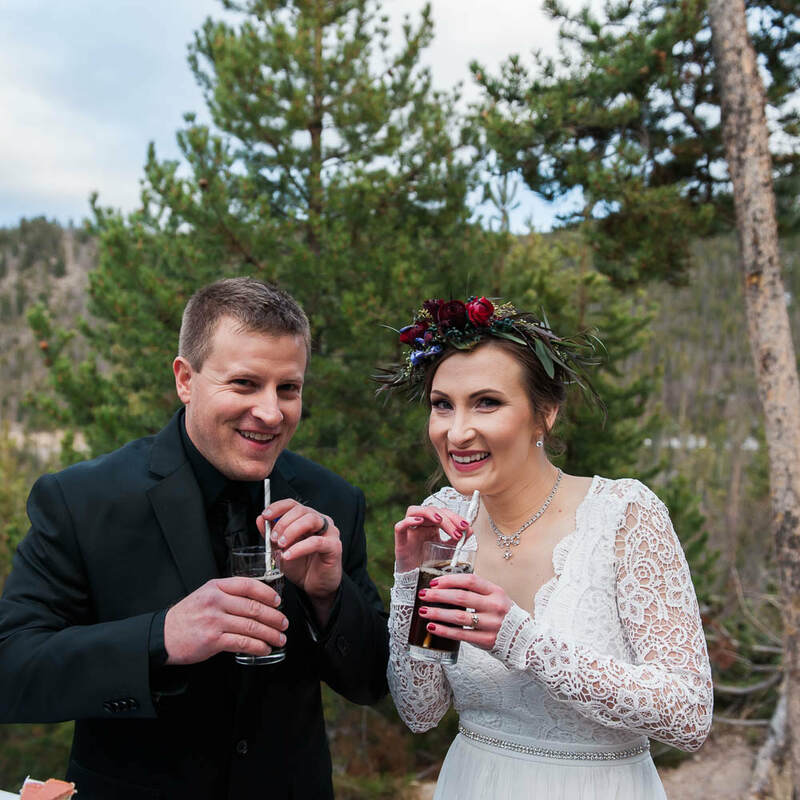 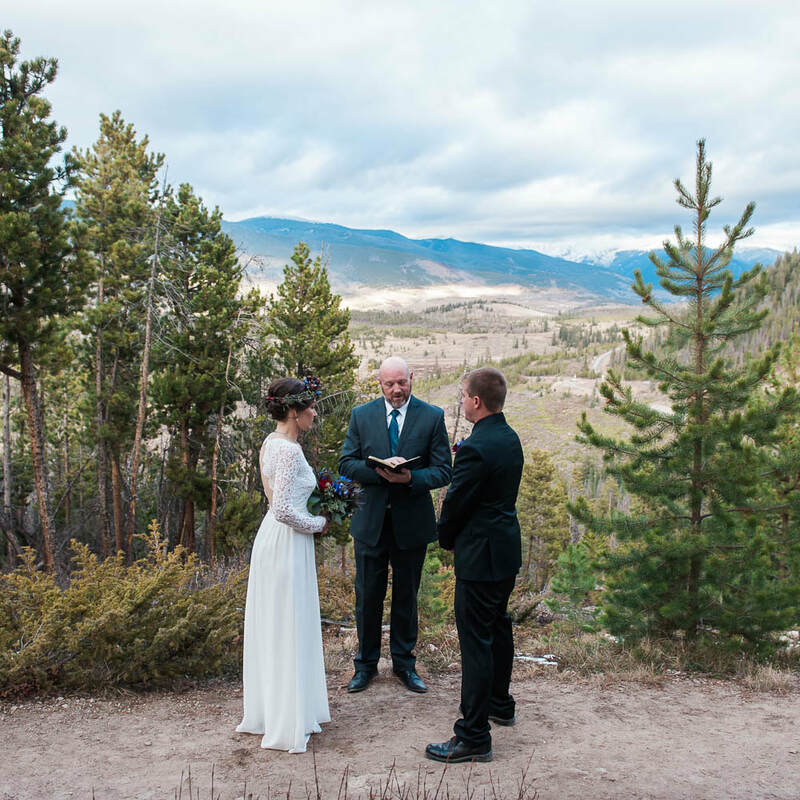 Katie and Jason drove from Texas to the mountains of Colorado for their destination elopement. 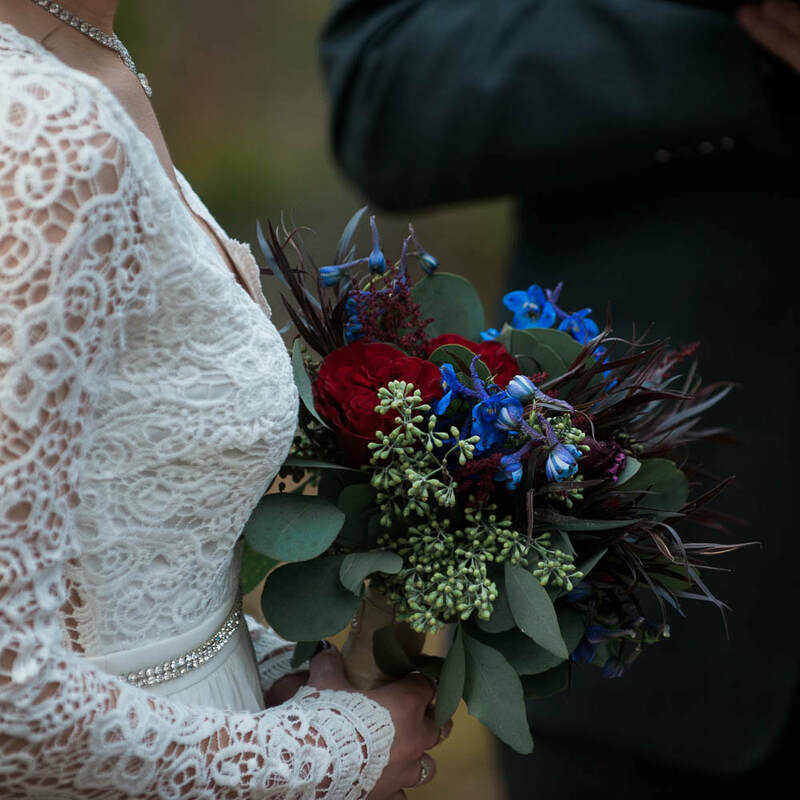 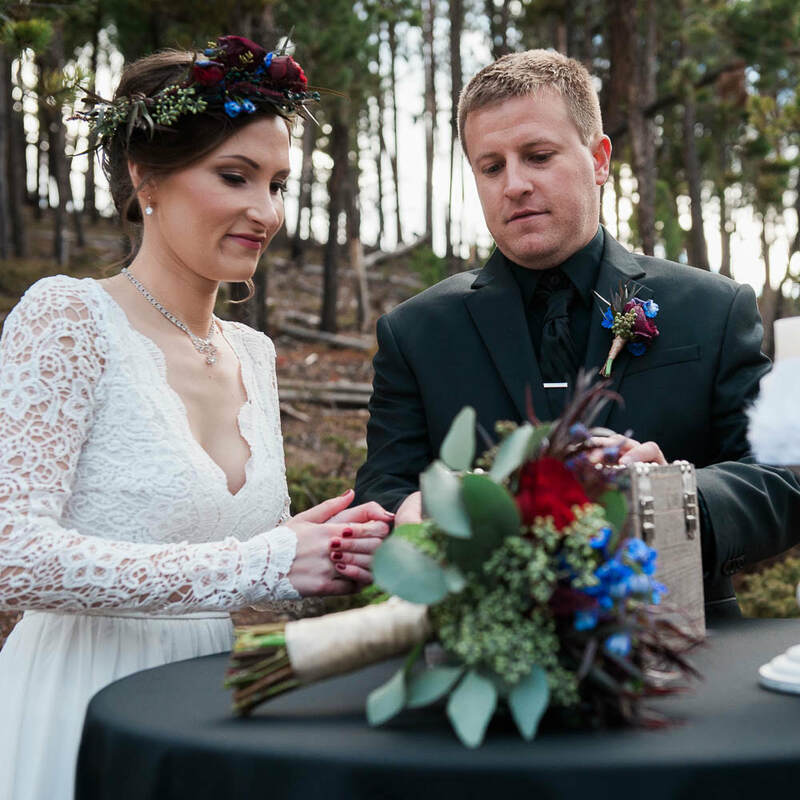 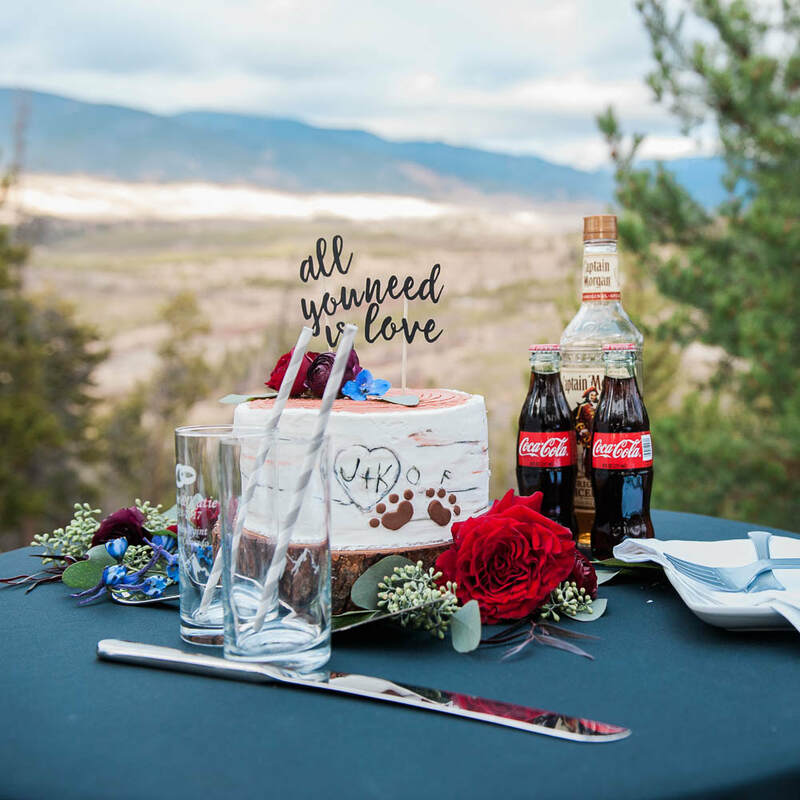 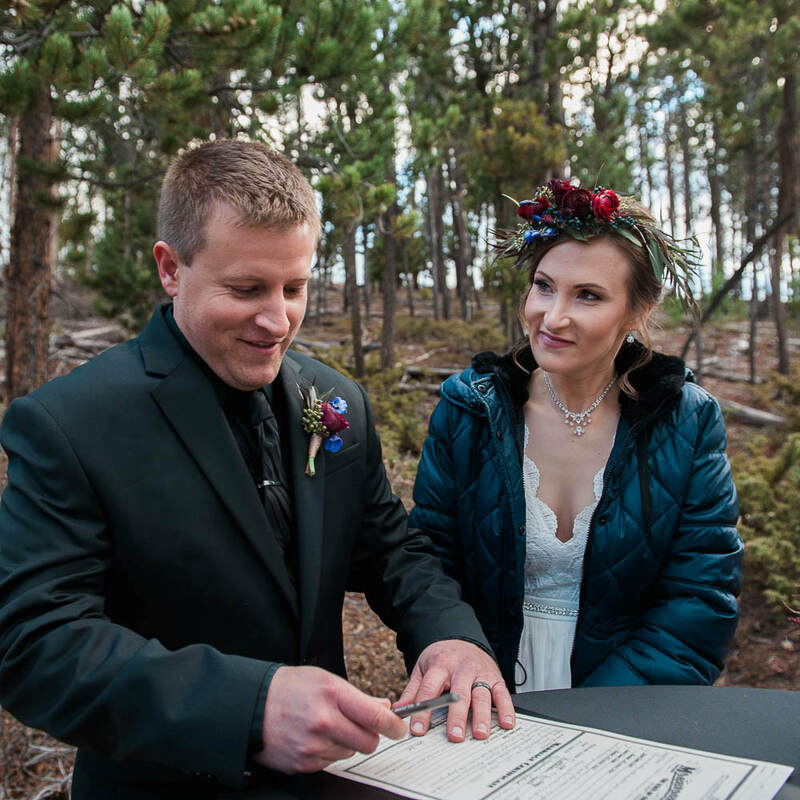 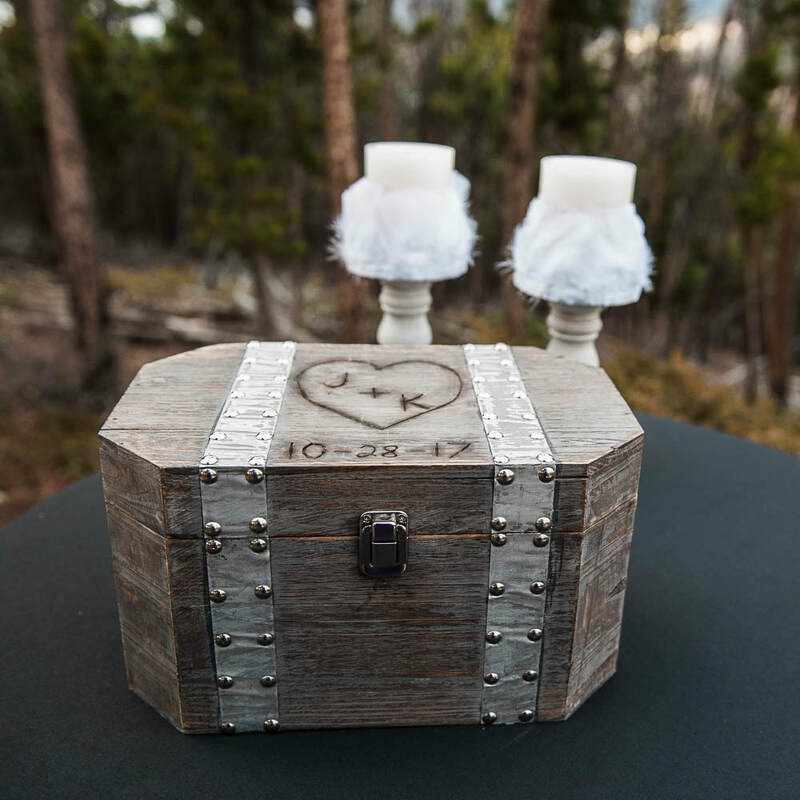 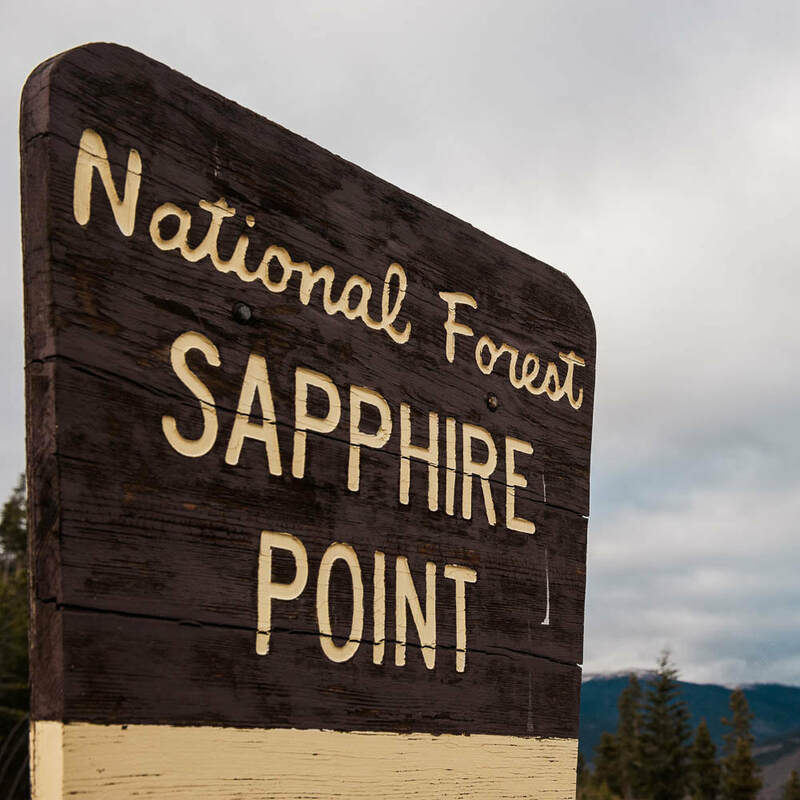 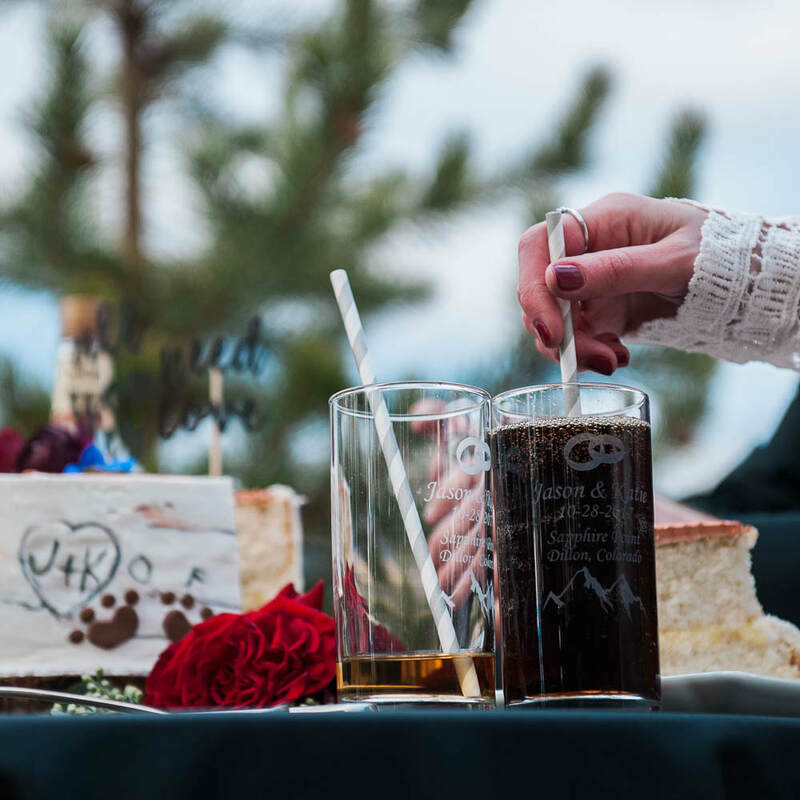 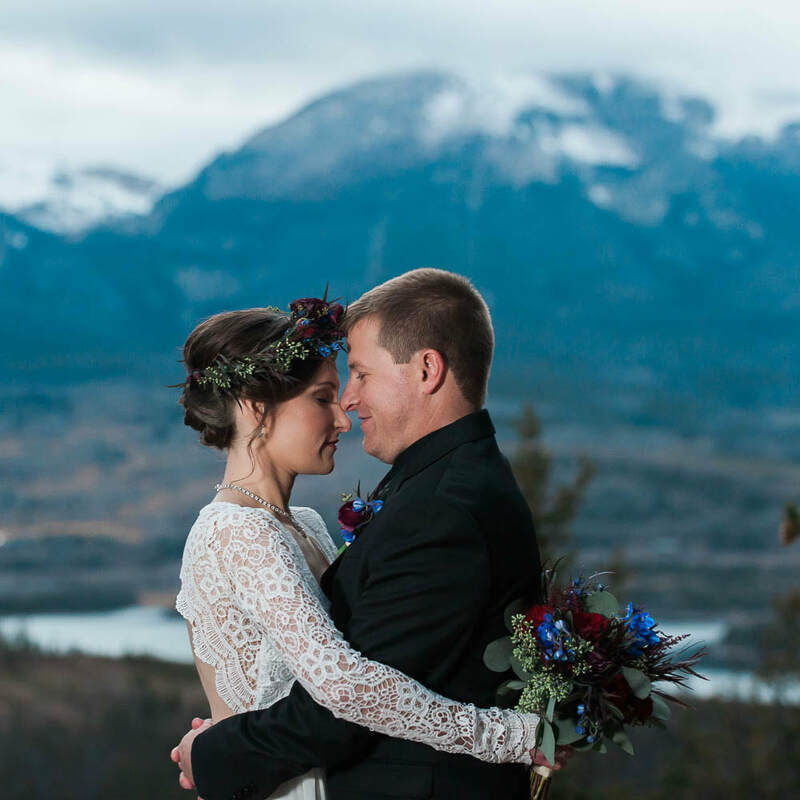 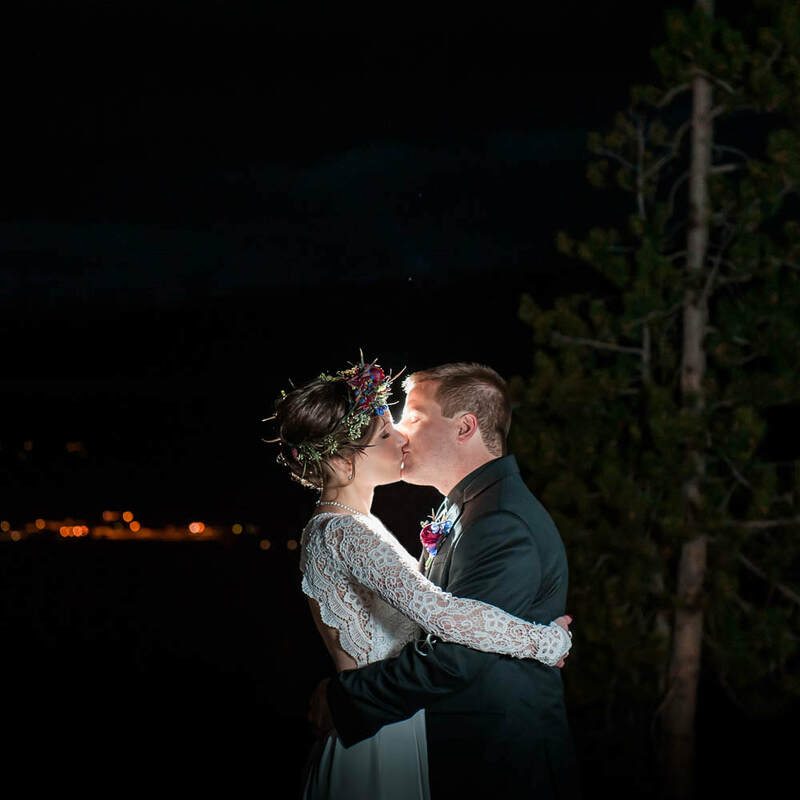 They braved the chilly weather and exchanged their vows at a vista along the trail at Sapphire Point. 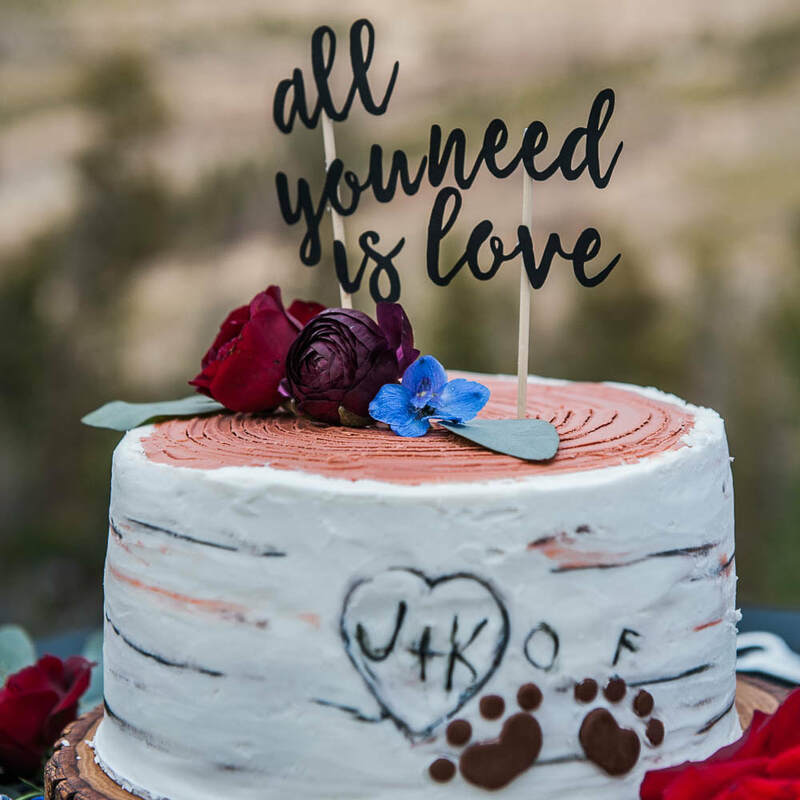 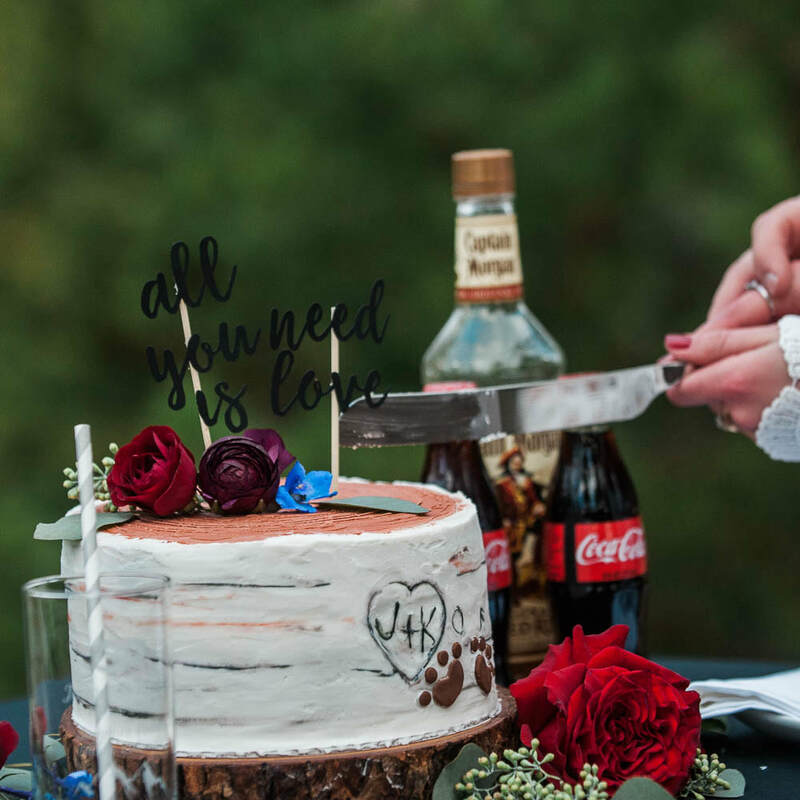 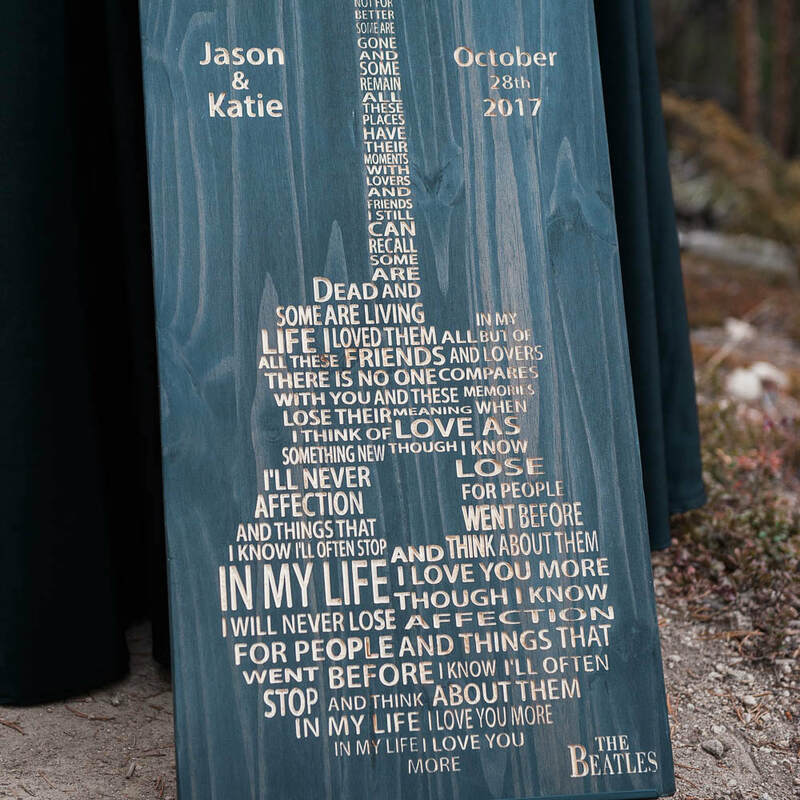 We loved the personal touches from the Beatles guitar sign to the cake with dog paws.